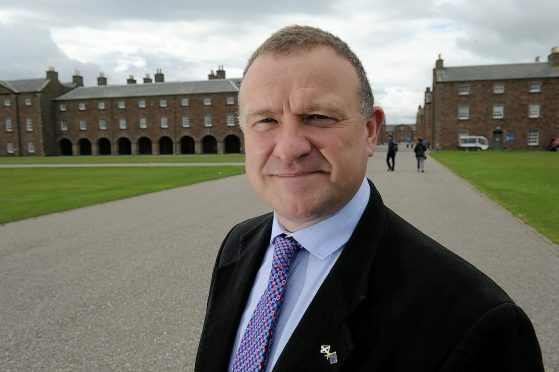 Highland MP Drew Hendry has backed a new campaign calling for a radical overhaul of the Universal Credit system and protect people from the threat of eviction. The multi-agency campaign – involving the Scottish Federation of Housing Associations, England’s National Housing Federation, Community Housing Cymru and the Northern Irish Federation of Housing Associations – warns that the credit system is “flawed” and causing debt, suffering and hardship for the families they house. They report that two thirds (65%) of Universal Credit tenants in Scotland are in arrears, compared to less than a third (32%) for all other tenants. This follows a report by the Residential Landlords Association, which found that 29% of landlords have already evicted a tenant for UC rent arrears, while Universal Credit rent arrears is cited as the main reason private rented sector landlords seek to evict tenants. Mr Hendry – whose constituency was one of those selected to pilot Universal Credit – has long campaigned for the UK government to halt the rollout of its flawed Universal Credit project. He said: “The UK Government tell us time and time again that Universal Credit is working, all whilst ignoring the mountain of evidence showing it is not. “Even the National Audit Office has called them out on their attempts to mislead people and on failures to deliver a workable or value for money service. At the end of last year, the Highland Council reported it was holding over £1.6 million of arrears accrued as a direct impact of Universal Credits. In other parts of the Highlands, Housing Associations wrote to all tenants to ask that they pre-pay rent because of the expected arrears to come, with the rollout of Universal Credit to other Highland areas. The Inverness MP added: “Rent arrears, first time debt, evictions, long delays to payments, short payments, lost sicknotes, misplaced documents, failure to respond, confusion between departments, and an inability to respond to common sense are rife. “There is a systematic lack of care shown to those most vulnerable in our society and the burden of these ill-thought out processes is left with the third sector and local authorities. A DWP spokeswoman said: “Rent arrears are complicated and they cannot be attributed to a single cause. Our research shows that many people join Universal Credit with pre-existing arrears, but the proportion of people with arrears falls by a third after four months in UC. “The best way to help people pay their rent and to improve their lives is to support them into work and Universal Credit is helping people move into work faster and stay in work longer than the old system.